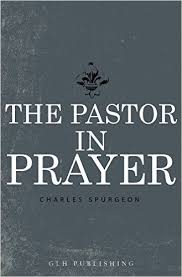 “The Pastor in Prayer” by Charles Spurgeon. I’ve read a lot of Spurgeon over the years, but somehow I missed this one until now. Prayer is the number one area I need to grow in a as a Christian/missionary/pastor. Virtually every page of this book helped, inspired, and convicted me in every area of my prayer life. However, one practical change that I made after I read this book was that I began thinking about and planning my prayer for church services much more carefully than I had done before. As a result, I feel my public praying is growing more passionate and Scriptural. 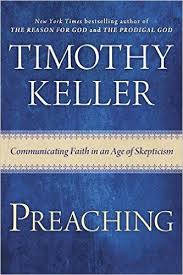 “Preaching” by Tim Keller. By the end of this year, I will have written and prepared almost 90 messages and will have preached at least 120 times. If I am going to spend my life preaching, I want to grow and become the best preacher I possibly can. I’ve read many books on preaching, but this one helped me the most. There are three chapters that really make the book special: chapter 2 “Preaching the Gospel Every Time, chapter 3 “Preaching Christ from All of Scripture, and chapter 6 “Preaching Christ to the Heart.” Having read this book, I am becoming better at tying every passage I preach to Christ and the Gospel. 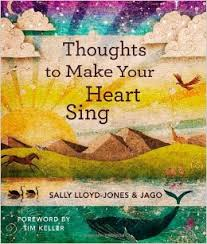 “Thoughts to Make Your Heart Sing” by Sally Lloyd Jones. This is a children’s book I read to Laura. Essentially it is a devotional for kids, but it is as profound and encouraging as any devotional for adults. I want to teach the Bible as creatively and beautifully as this book does. Buy this for yourself and for a child you love. 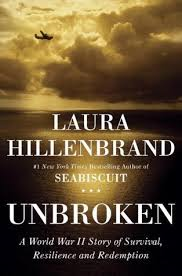 “Unbroken” by Laura Hillebrand. This is a well-known bestseller released a couple of years ago. And as everybody says, the book is definitely better than the movie. 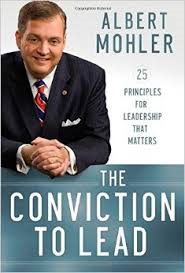 “The Conviction to Lead” by R. Albert Molher Jr. This is a very general, but helpful and practical book on leadership. Every chapter challenged me in some way. Finally, I leave you with my first attempt to write a poem in many years. It was inspired by a recent moment in our home with Samuel and Laura. Diapered bottom, milk in hand. But panic-stricken, rageful eyes said all. True to its target was. Echoed from his sister’s mouth. Paradise lost and Paradise yearned. Longing for the second Adam.